We live in a time when organizational change has become the norm. Organizations are constantly undergoing major restructurings, be they outsourcing, downsizing, or major reorganizational changes, e.g., team or LEAN implementation. Stability has become the exception. Managing change processes seems to be a prerequisite to securing the organization’s survival. In this context, it is important to consider that international research indicates that only between a third and a half of major restructurings meet their objectives. Research has indicated that change processes greatly influence the results of changes and that organizational change may have detrimental effects on the employees’ working environment, health, and well-being. Individual reactions include uncertainty about the future job situation that the change creates, a loss of control, reduced role clarity, and a change in the relations between employees when colleagues are discharged or when well-established organizational structures disappear (Saksvik et al., 2007). All this, in turn, may contribute to different short- and long-term outcomes at the individual and organizational levels, such as psychological morbidity, early retirement, increased job strain, sickness absenteeism, and injuries (Saksvik et al., 2007). Relatively little is known about how organizational change may be managed to ensure healthy change – healthy for both organizational outcomes and employees. 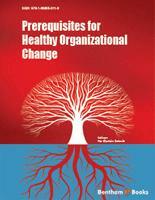 The chapters of this book will look into the different aspects of organizational change and each contribution can be placed according to a model first developed by Armenakis and Bedeian (1999) and later modified by us (Saksvik & Tvedt, 2008). The chapters are placed according to this model: content issues (chapter 1) that refer to the substance of the contemporary organizational changes, whether they are seen as downsizing or implementation of new technology, as revolutionary or incremental, or as long-lasting or fast. The content issues of an organizational change also involve the purpose of the change: whether the mission is to reduce costs, to increase production levels, or to improve the psychosocial working conditions. Contextual issues deal with conditions in the organization’s external or internal surroundings and will be mentioned in most chapters, especially in Chapter 2. Process issues (chapters 2 to 7) have been identified as key factors in our research and are about the actions that take place during the implementation of the change program. This is the main relational level of the model identifying cooperation and negotiation between individuals and partners at the shop floor level when a change is implemented. We have found that organizational change processes were better managed when there was greater awareness of local norms and diversity among employees in the perception of and reactions to change efforts. The other three factors identified were early role clarification, manager availability, and using constructive conflicts to deal with change. Criterion issues are not really about the change itself, but focus on the criterion variables that are often seen as important outcomes of planned organizational change. All the chapters will to some extent touch this aspect. Change resistance (chapter 8) measures individual reactions to change on the emotional, attitudinal, and behavioral levels. The impact of change (chapter 9) is about the meaning of change for the person, and how it is interpreted and acted upon. These last two factors identify individual attitudes and reactions towards change. We have also included two chapters about methodological aspects of studying change (chapters 10 and 11), where we discuss the development of an index to measure change and the necessity to carry out studies of organizational change from a multilevel perspective. Armenakis, A. A., & Bedeian, A. G. (1999). Organizational change: A review of theory and research in the 1990s. Journal of Management, 25, 293–315. Saksvik, P. Ø. & Tvedt, S. D. (2008). A healthy organizational change model. Poster presented at the EA-OHP Annual Conference, Valencia, Spain, 12th to 14th November. Saksvik, P. Ø., Tvedt, S. D., Nytrø, K., Buvik, M. P., Andersen, G. R., Andersen, T. K., et al. (2007). Developing criteria for healthy organizational change. Work & Stress, 21, 243–263.